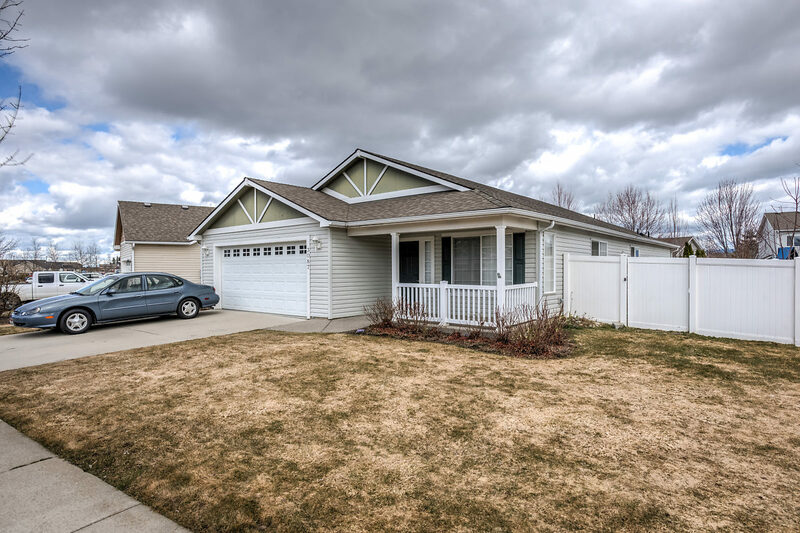 3-bedroom, 2-bath home offers a spacious feel with vaulted ceilings throughout plus 2 living areas. Granite countertops and a kitchen island with breakfast bar plus pantry compete the well-organized kitchen. A/C and the gas fireplace insert bring year-round comfort. Landscaped with a sprinkler system and a fenced, low-maintenance backyard providing a covered back patio and storage shed.